On this date in 1942 the First Special Service Force was acti­vated as a joint U.S.-Cana­dian force. Regarded as parents of the U.S. Green Berets, the United States Special Opera­tions Com­mand, and the Cana­dian Special Opera­tions Forces Com­mand, these volun­teers were the shock troops of the U.S. Army in World War II. Ameri­cans and Cana­dians who had for­merly been lum­ber­jacks, hunters, prospec­tors, ex­plorers, game war­dens, and skiers received rigorous training in stealth tac­tics, hand-to-hand (often un­armed) com­bat, explo­sives demo­li­tion, rock climbing, para­chute jumping, and amphib­ious, moun­tain, and ski war­fare. An amal­gam of two armies, these hand-picked offi­cers and en­listed men—single men between the ages of 21 and 35—trained on the hot, dusty Mon­tana prairie, in the frozen peaks of the Rocky Mountains, and in the chilly waters of Chesapeake Bay. Much feared for their fighting pro­wess, the First SSF adopted their Ger­man nick­name “Black Devils” (Schwarze Teufel) for them­selves. With black­ened faces, these small agile units often over­whelmed Ger­man defenders without firing a shot and then dis­appeared into the night. 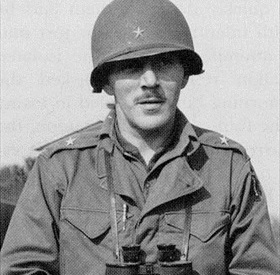 The Devil’s Bri­gade saw action in Alaska, Italy (Anzio, Monte Cas­sino, Rome in the spear­head of the U.S. Fifth Army), South­ern France (Opera­tion Dra­goon), and the Rhine­land campaign (late 1944). In Italy they used their trade­mark stickers depicting their unit patch (a red Indian arrow­head) and the slo­gan “Das dicke Ende kommt noch,” meaning “The worst is yet to come,” placing the stickers on German corpses and fortifications. In the Decem­ber 1943 to Janu­ary 1944 moun­tain cam­paign in Italy, the Black Devils suffered 77 per­cent casual­ties. In the inva­sion of South­ern France, their com­mander was wounded nine times. Over­all, the 1,800-member First SSF accounted for roughly 12,000 Ger­man casual­ties, took some 7,000 pri­soners, and sus­tained an attrition rate of over 600 percent. The First SSF was dis­banded in Decem­ber 1944 in South­ern France. The Cana­dian con­tin­gent quietly dis­persed as com­bat fillers. Ameri­can mem­bers were sent to the 82nd Air­borne Divi­sion as replace­ments, others formed the core of a new infan­try regi­ment for ser­vice with Gen. George S. Patton’s U.S. Third Army, and still others were integrated into U.S. Army Ranger battalions. 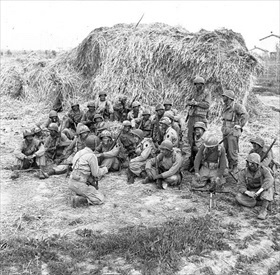 Left: Personnel of the First Special Service Force being briefed before setting out on patrol, Anzio beach­head, Italy, April 20, 1944. An order found on a Ger­man POW stated that the Ger­mans in Anzio would be “fighting an elite Cana­dian-Ameri­can Force. They are treach­erous, unmer­ci­ful and clever. You can­not afford to relax. The first sol­dier or group of sol­diers cap­turing one of these men will be given a 10‑day fur­lough.” It was at Anzio that the Devil’s Bri­gade (or Black Devils’ Bri­gade) adopted their Ger­man nick­name on account of the black boot polish the men applied to their faces before going on night­time opera­tions behind enemy lines, appearing out of nowhere, and taking prisoners. Right: Brig. Gen. Robert T. Frederick commanded the mixed force of Ameri­cans and Cana­dians since its ear­liest days, working hard to create an inte­grated “North Ameri­can” fighting unit. His men greatly ad­mired Frederick for his intel­li­gence, cour­age, and willing­ness to fight along­side them in battle, in­cluding walking into a Ger­man mine­field to help re­trieve wounded sol­diers. After the Ital­ian cam­paign, British Prime Minis­ter Winston Chur­chill called Frede­rick “the greatest fighting gene­ral of all time” and “if we had had a dozen more like him we would have smashed Hitler in 1942.” In August 1944 Frede­rick left on pro­mo­tion to major general to command the 1st Airborne Task Force. 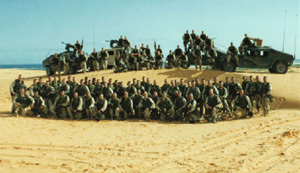 Left: Bravo Company, 3rd Battalion of the 75th Ranger Regi­ment of the U.S. Army Special Opera­tions Com­mand in Soma­lia, 1993. 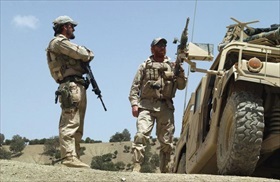 The all-volun­teer 75th Ran­ger Regi­ment is the Army’s pre­mier raid force, spe­cializing in seizing key ter­rain such as air­fields, destroying strategic facilities, and capturing or killing enemies. Right: U.S. Army Special Forces, also known as Green Berets, on patrol in Afghan­i­stan. Spe­cial Forces are tasked with five pri­mary mis­sions: un­con­ven­tional war­fare (the ori­gi­nal and most im­por­tant mis­sion of the force), for­eign inter­nal defense, special recon­nais­sance, direct action, and counterterrorism.